Sometimes it’s possible to gain benefit from distraction. In the spring I usually buy some plants of the sweet onion variety Candy, because I like them for scallions in midsummer. Last summer one short row of them got away from me and matured, and since I was focused on other things at the time, I never got around to harvesting them. 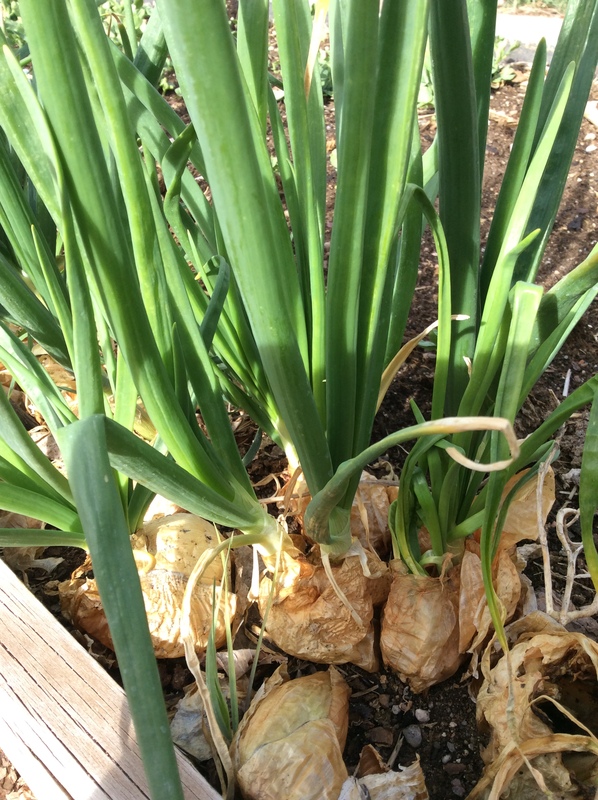 Early this spring they began to sprout in place, and now each of the original bulbs has produced 3-5 large sweet scallions as thick as my thumb. 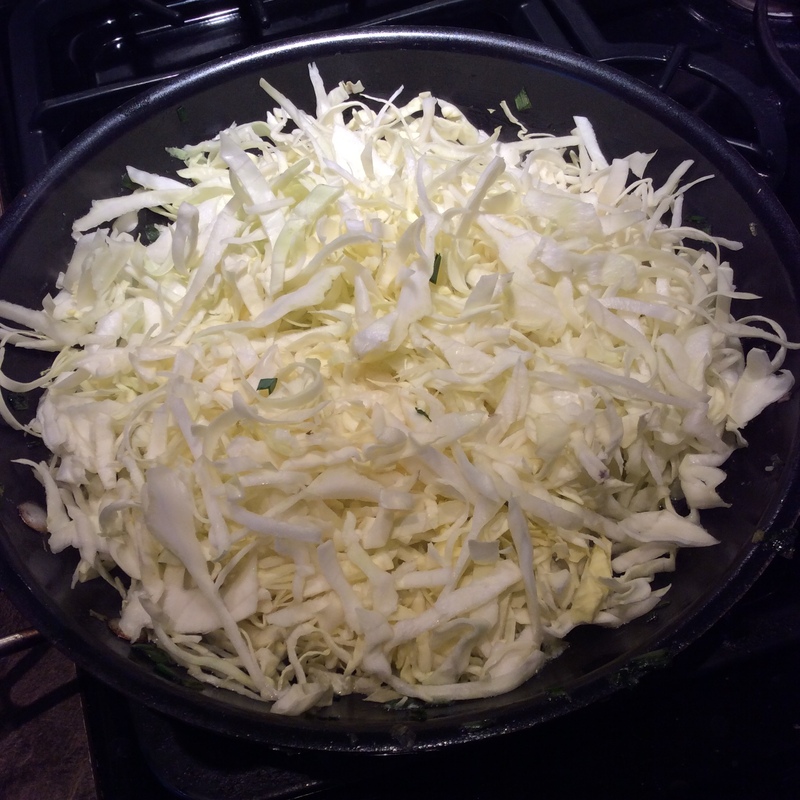 These are lovely as a vegetable, sliced in cross section and stewed in butter over medium-low heat with some salt until done. They are superb brushed with olive oil and grilled over coals until cooked through, taking care to keep the heat low so that they don’t burn, which happens easily. 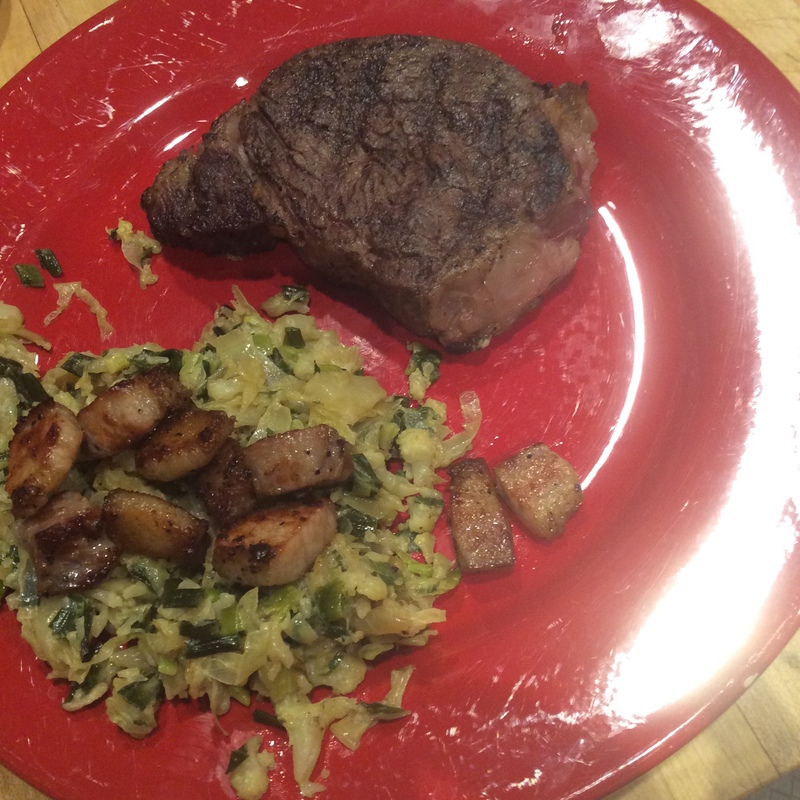 One or two grilled on the stove in a grill pan would make a nice cook’s treat while you’re cooking other things. They need to be eaten as soon as they’re a good size, before they start to produce a flowerscape. The scapes are edible too, but personally I don’t care for the texture and usually use them to flavor broth. 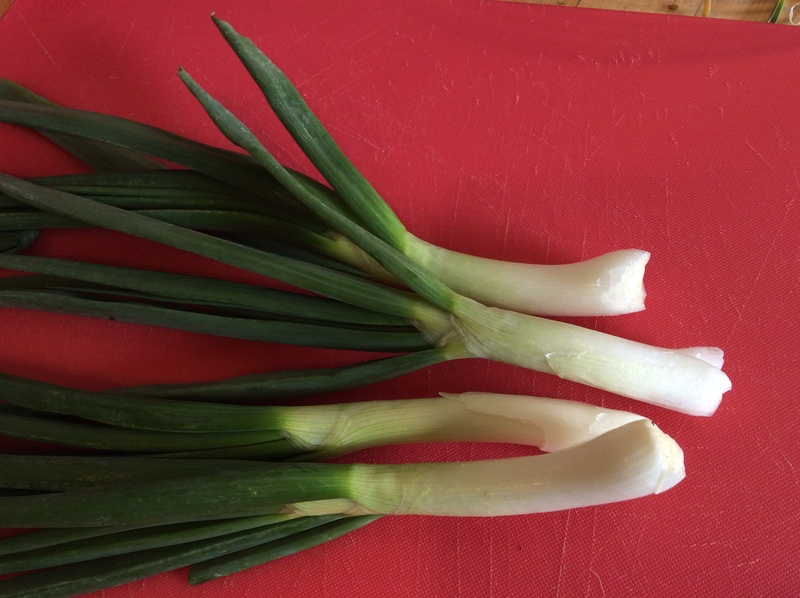 I plan to harvest all but one scallion from each cluster and leave the remaining ones to mature, picking off the scapes and leaving the bulbs in place over the winter, to see if I can get a similar harvest next spring. 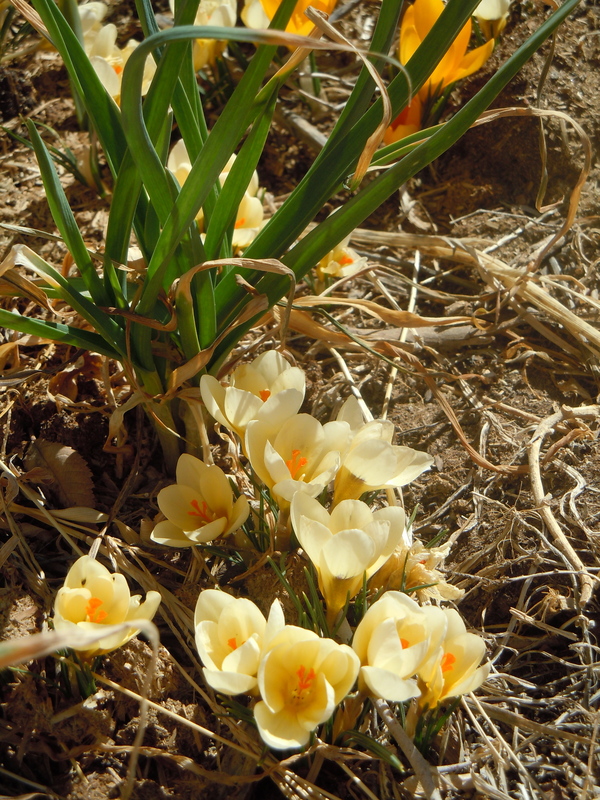 A self-perpetuating patch of Candy onions would be a great way to greet spring. 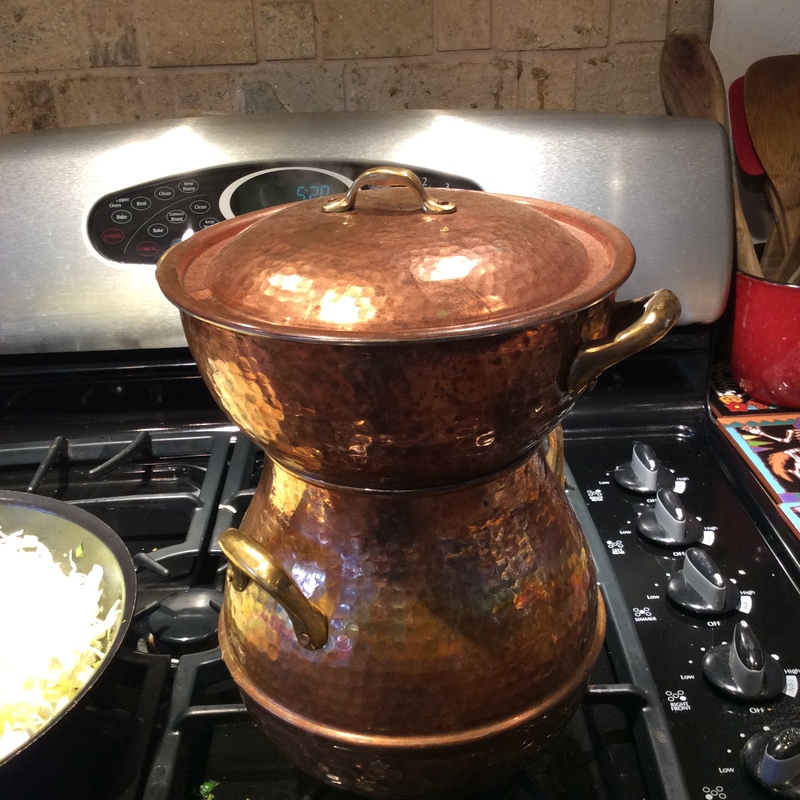 Onions and garlic are among the most common and useful seasonings worldwide, as well as in my kitchen. 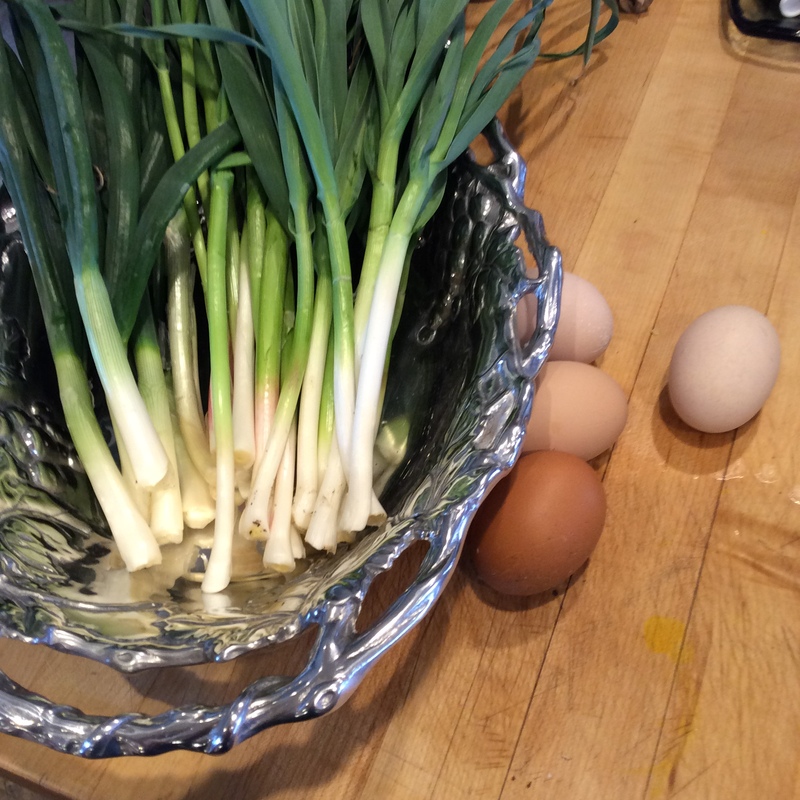 In spring my garden is full of green fresh forms of these lovely vegetables, and this is the time to plan for the green onions you’ll want later in the year. Start now, because they won’t be ready for a while. I suggest starting some long red onions from seed. They are available under several names. At Gourmet Seeds International in Tatum, New Mexico, they’re sold as Rossa lunga de Firenze. Also get a packet of the lovely Japanese green onions. My favorite is Shimonata. Don’t worry about the late start; you’re planting for the future. Start them now, and plant them out in fertile soil when they’re big enough to take care of themselves. I plant mine in clusters of 3-5 plants, with at least 8″ between clusters. They will grow slowly through the summer, and some of the Shimonata will be big enough to eat in the fall. 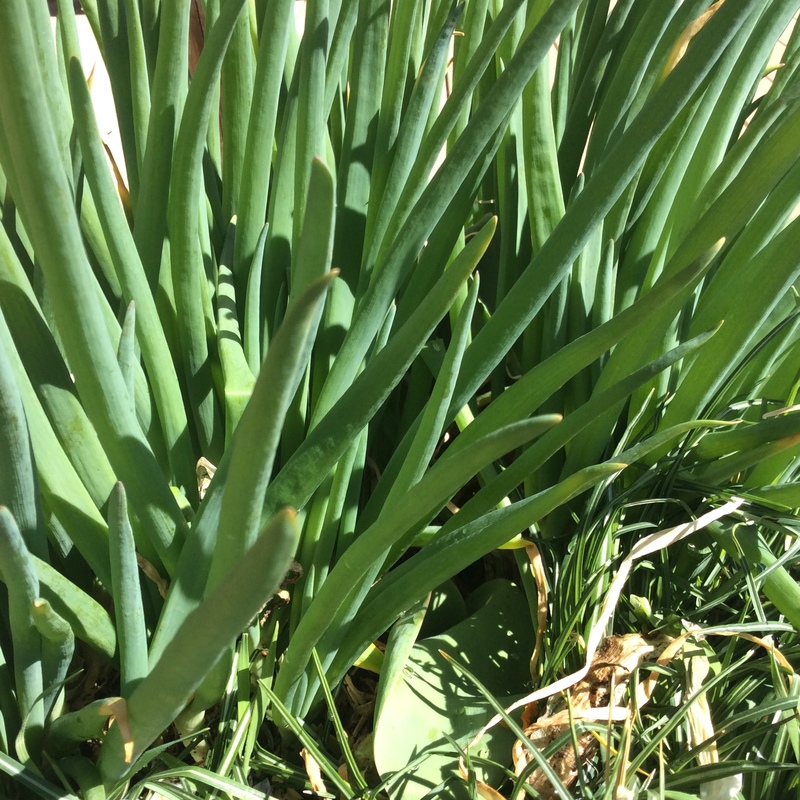 In early fall the red onions will seem to mature and die at a small size. Don’t panic. Leave them in place. Both types will sit motionless, sulking, through the winter and will burst into lively growth in early spring. Usually the red onions will divide, and you will get two or even three beautiful mother-of-pearl-colored spring onions like the ones below from each. The shafts of both types will be thick, sometimes an inch in diameter. Harvest them as soon as they’re big enough to be usable, and keep harvesting until the flowerscapes appear. They are useful in all kinds of cooking, and I love the shafts trimmed, rubbed with olive oil, and grilled slowly until sweet and softened. Slice up with a good sharp knife (very messy eating if you skip this step) and serve with sea salt and a little of your best olive oil. 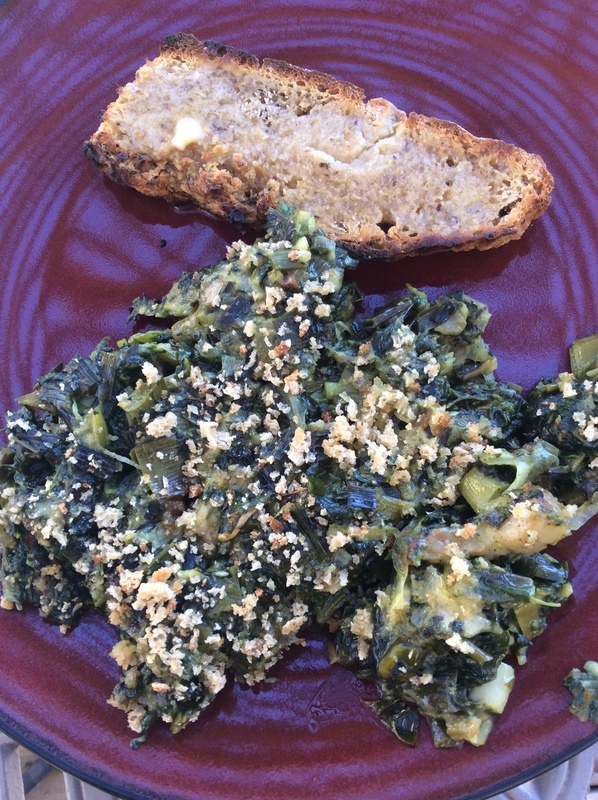 To have green garlic next spring, stick cloves in the ground about 6″ apart in the fall. For this purpose, any good organic garlic from the store is fine. Harvest when they just begin to form a bulb swelling, trim the roots and peel, slice finely, saute in good butter, and season with sea salt. Good with pasta, on good toasted sourdough bread, or as a sauce for fish. A few years ago I ordered some “French gray shallots,” which the catalog claimed were the only real shallot to use in French cooking. 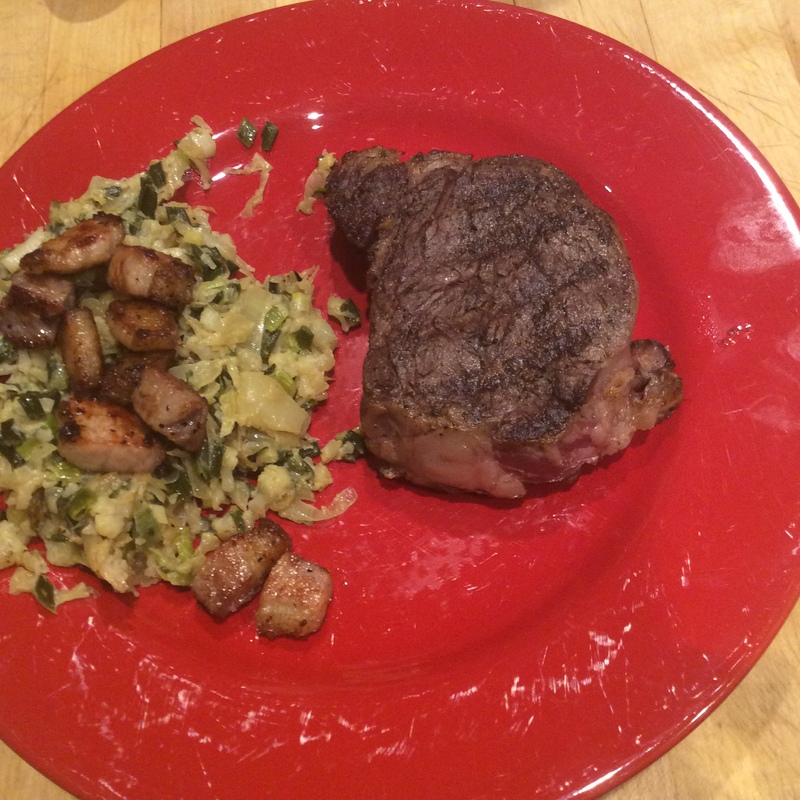 I was unimpressed: the shallots were strong-flavored, garlicky, small, and maddening to peel. I left a lot of them in place out of disinterest, and discovered that in late winter and spring their foliage makes great greens. 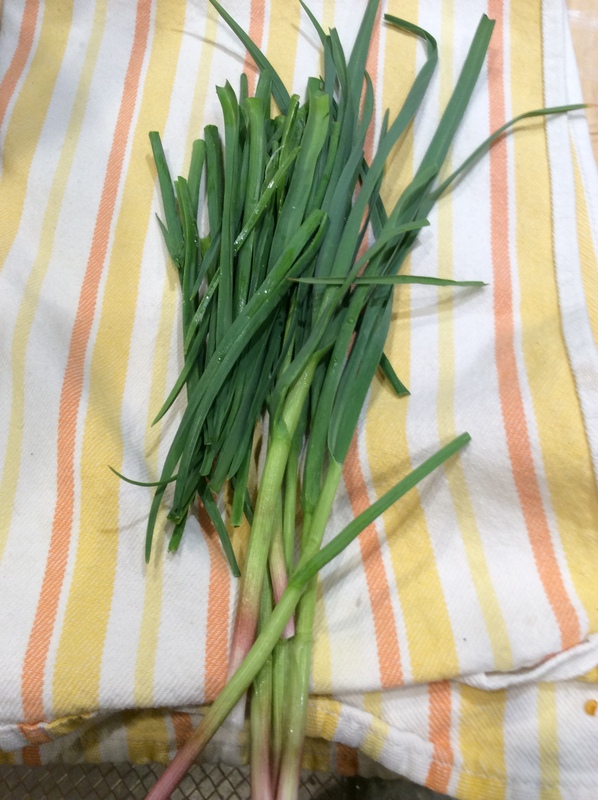 Cut and use like chives, but they are significantly stronger in flavor. 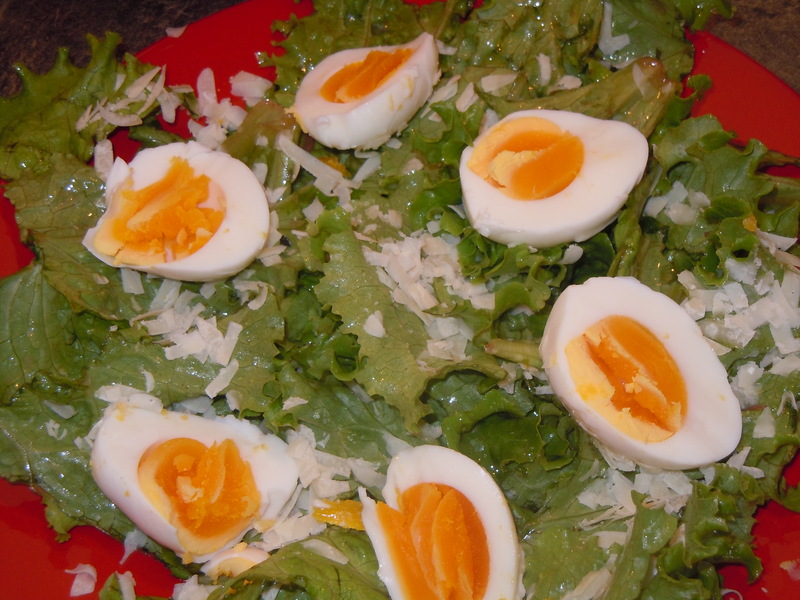 They add zip scattered in a salad, or add them to greens dishes for the last few minutes of cooking. 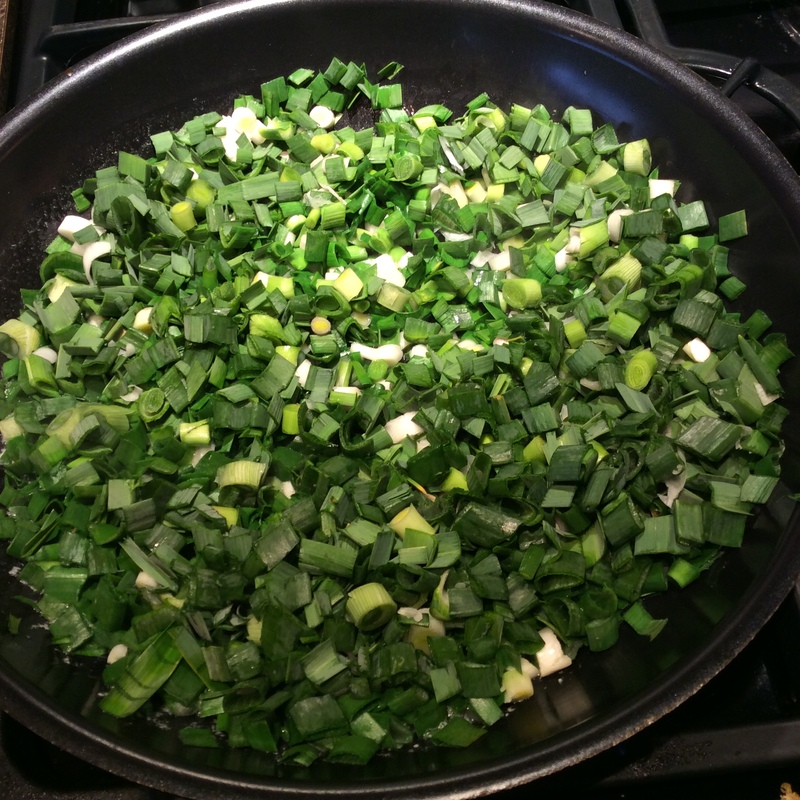 Sauteed green onions are a great addition to hortapita fillings and other greens dishes, so please check out my “greens” category on the sidebar for more recipes. 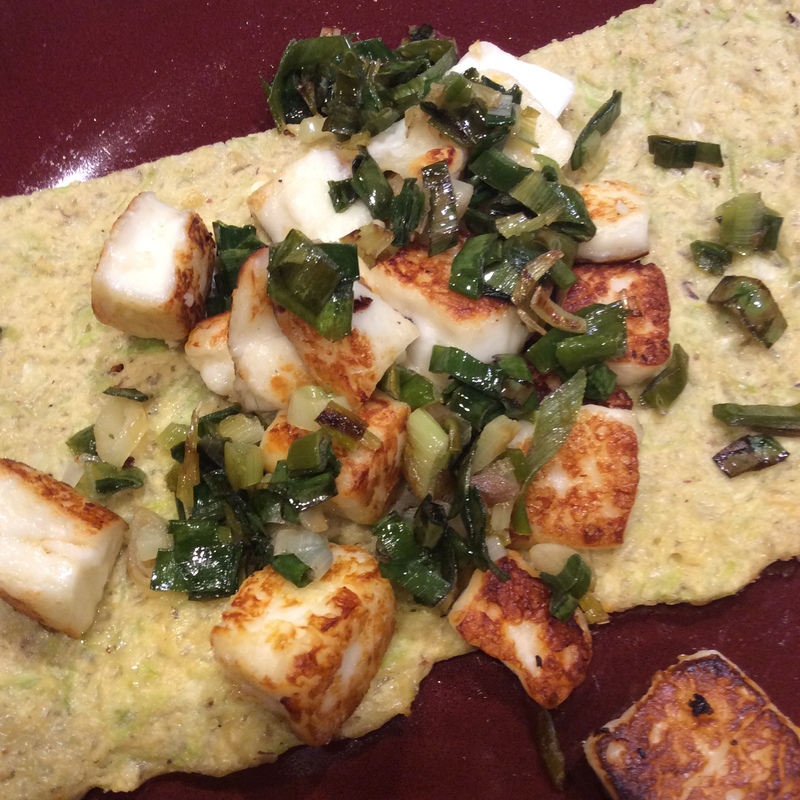 Or, for a recipe in which green onions are the stars, click here!